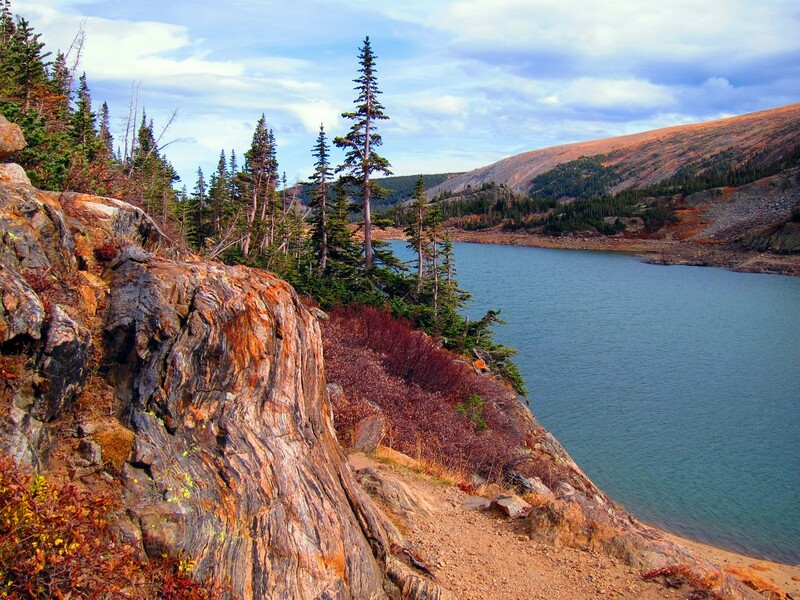 A vacation in Colorado’s Indian Peaks Wilderness is great for the outdoor adventurer. With acres and acres of backcountry you can hike, ski, fish, and more. 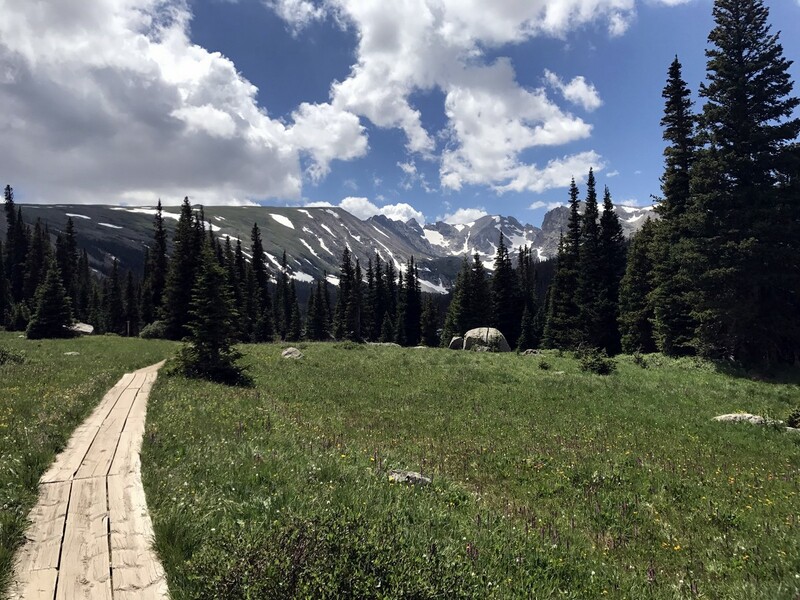 Consider booking a vacation to the Indian Peaks Wilderness if you need to get out into the fresh air. 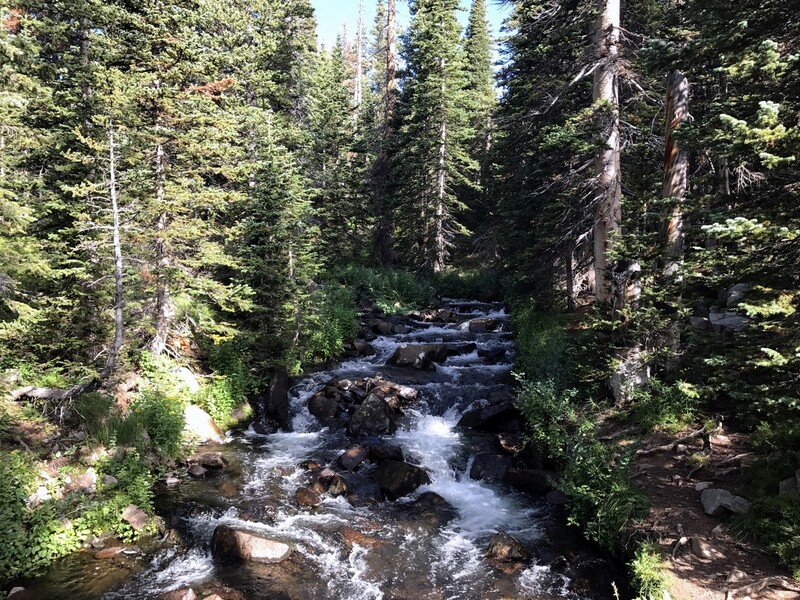 The Indian Peaks Wilderness is a great place to travel if you want to get away from it all. The backcountry is vast. The night’s sky blooms with stars as the sun fades. The air is mountain fresh. All that space means less buildings and less infrastructure for tourism. That doesn’t have to be a bad thing though. In this trip-planning guide we’ve scoured the area to find all the best, most honest, mom-and-pop style businesses that are beloved by the community and its visitors. We recommend camping first and foremost. This is a great area to camp; however, Nederland is the home base if you want a hotel. Boulder is 30 minutes from Nederland if you want a bigger town to be based from. Nederland is a charming town, and while the dining and lodging options aren’t vast, the quantity does not mean a lack of quality. 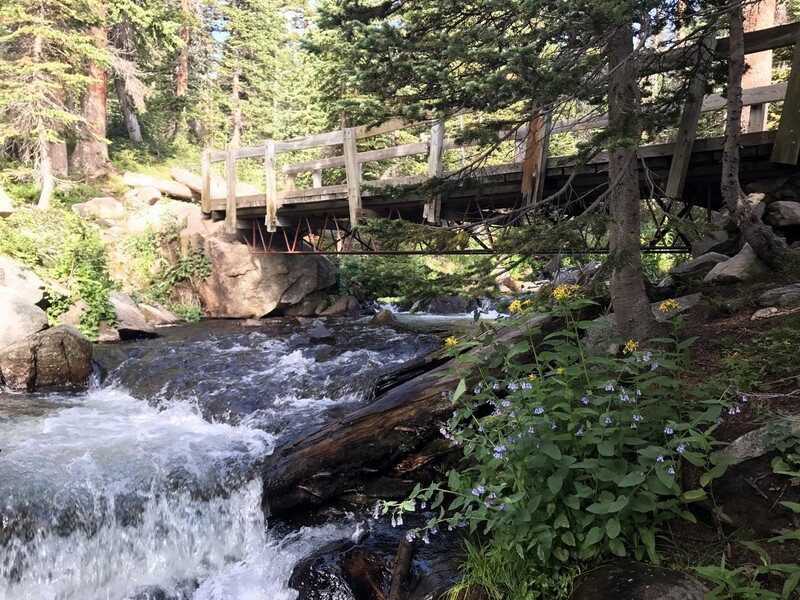 In fact, we think the Indian Peaks wilderness is a great value vacation because you’re able to find great hotels and restaurants without a tourism mark-up. If Nederland is just a little too small that’s ok. Boulder is roughly an 30 minutes from Nederland. Finally, we love combining a trip to Indian Peaks with a trip to Boulder and Rocky Mountain National Park (RMNP). 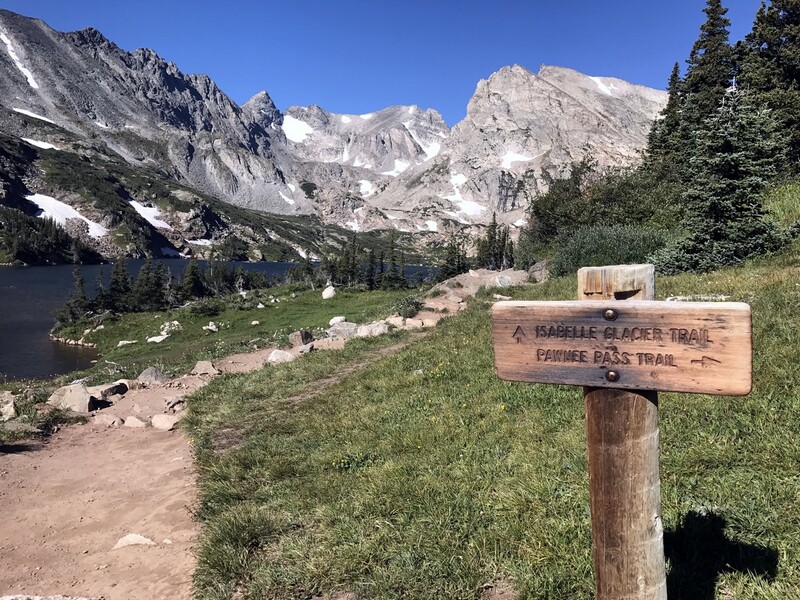 Our planning guide on RMNP features info on the town of Grand Lakes and Estes Park, which would make decent bases as well to explore all parks. The options, and the backcountry, are vast. What are you waiting for? Start exploring the Indian Peaks Wilderness. 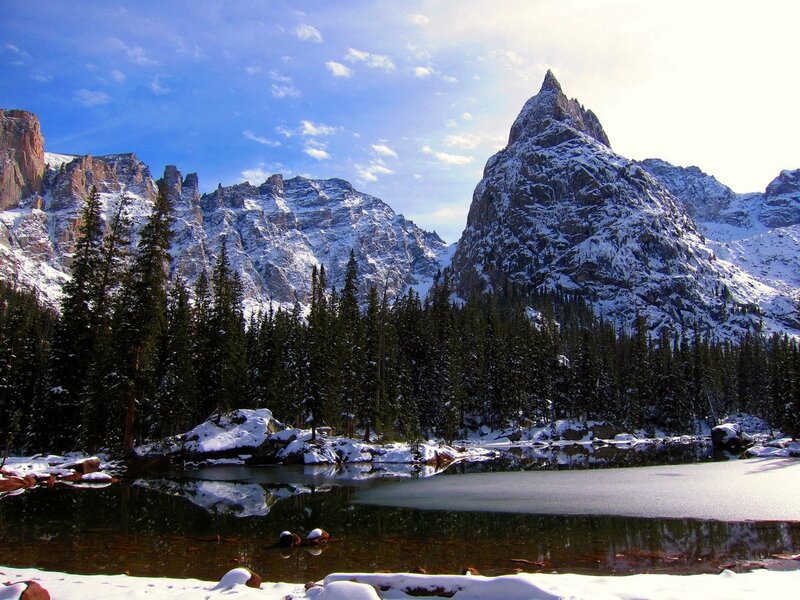 When you’re booking a trip to the Indian Peaks Wilderness, you’ll fly into Denver International Airport (DIA). This big airport leaves you just one hour or so outside of Boulder and an hour and a half or so outside of the Indian Peaks Wilderness. There are plenty of transit options that will get you into Boulder, and there is a bus that will take you from Boulder to Nederland, but it’s quite the journey. We will discuss transit options later in the article. The best time to go to the Indian Peaks Wilderness is in the summer months. We think the park’s strong suite is its multitude of camping options and abundant backcountry. Try visiting between the months of May- September. There is skiing (downhill, backcountry and cross country) in the park, so by all means head to the park in the winter too. We will cover the skiing later on in the article, but if that’s what you’re looking to do then we recommend going sometime between December and March, with February and early-March our favourite time to go. The park is about an hour to an hour and a half drive from the Denver and an hour from Boulder. No matter where you stay, you’re going to need a car to get around. When people ask us where to stay to be close to the Indian Peaks we usually recommend The Boulder Creek Lodge first. If you want a great mid-range hotel, in Nederland, with a mountain feel – but without being too rustic – then this is your best option. You get a continental breakfast with your stay and the guest laundromat can be a blessing. The town of Ward, being home to only 150, doesn’t really have any accommodations that we’d recommend, but if you don’t mind the commute then why not look to Boulder for lodging? The St.Julien Hotel is both luxurious and in tune with nature. This four-and-a-half-star hotel backs out onto an uninterrupted view of the mountains. St.Julien also has all the amenities you’d expect and a noteworthy Sunday Brunch. If you’re looking for luxury in a smaller package, try The Bradley Boulder Inn. It might have one less star than St.Julien, but with only twelve rooms it means you get a more personal touch. The downtown location is also great if you want to comfortably walk back to your room after late dinner. We found no fault at the Bradley Boulder Inn and recommend it. 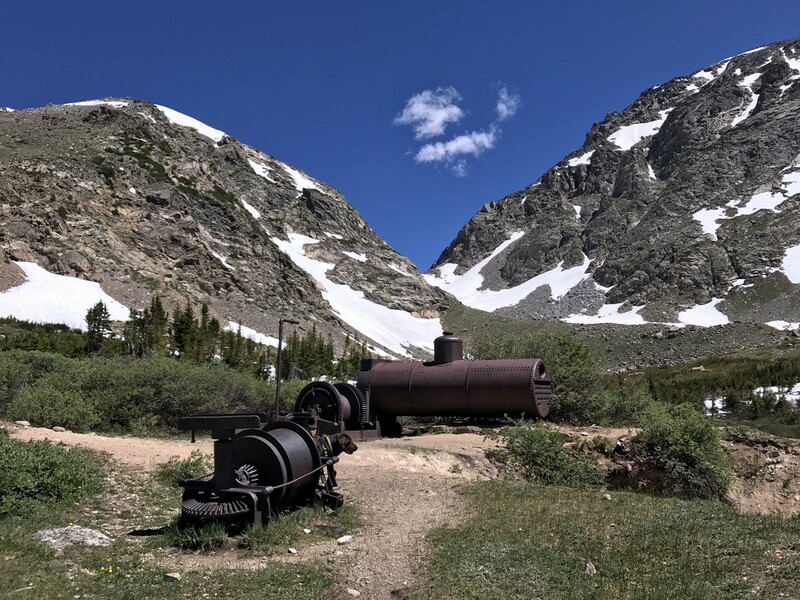 Many people love to explore the Indian Peaks Wilderness by camping there, and we think this is a great option. This park is flush with many good and great camping options. For the “Glampers” out there head to Arapaho Valley Ranch. You’ll find large canvas tents on risers, outfitted with real beds and furniture. You can also rent a Tipi with a similar outfitting.  If you are traveling in the Indian Peaks with a group who prefer camping in this method, you can also rent out one of the Ranch’s tent pads to put up your own tent. Our favourite, typical campsite is the Pawnee Campground. It’s near the Brainard Lake recreation area, and it’s also near some of our hikes. They have picnic tables, fire rings, toilets and drinking water, so you’re not completely roughing it. If roughing it is what you’re after, then you’re in luck. The backcountry in the Indian Peaks is expansive. Check out the USDA Forest Service’s Page on the Indian Peaks to learn more about backcountry camping in the area. They have good tips and maps for you to use. The majority of our recommendations are based in Nederland. We include a fine dining option in Boulder because that class of restaurant doesn’t really exist in the confines of the park. However, we must mention one special place. It’s one of those magical little anomalies that exist because of the passion of a few individuals. The restaurant is called Marrocco’s. Marrocco’s is an Italian place inside the small community of Ward (population of 150). Opened by a husband and wife, this Italian spot is by no means fancy, but it certainly is delicious. Everything is homemade and simply presented. It’s worth checking out if you’re doing a hike or bike near Ward. In Nederland our favourite place is Crosscut Pizzeria & Taphouse. They have a wood burning pizza oven and a massive tap list. It can get busy, but when you try it out you’ll understand why. It’s a bit of a surprise to find a Neapolitan pizza place in a mountain town like Nederland. Ned’s is the place to go if you’re looking for quick, fun, diner food. It’s easy to spot – it’s housed in a big yellow building with pink trim – and the servers are all extremely pleasant. If you’re planning an adventure in the Indian Peaks Wilderness you’ll want to pack some snacks. The two best packed-lunch options are New Moon Bakery and Mountain People Co-op. New Moon Bakery is going to have great hot breakfasts as well as delicious sandwiches and baked goods. The Co-op on the other hand has fantastic lunch options while also being a full grocery store. If you’re renting somewhere with a kitchenette, consider making yourself a packed lunch before you head out with groceries from the Co-op. Now, if you’re looking for something closer to fine dining, try a decadent night out at Arcana restaurant. It’s not going to break the bank, but it’s certainly a great fine-dining restaurant. The restaurant is in Boulder, which possible means a bit of a drive, but this level of cuisine doesn’t really exist inside the park. We really loved the décor at Arcana, as well as the staff. WHAT ELSE CAN YOU DO BESIDES HIKING IN The Indian Peaks? 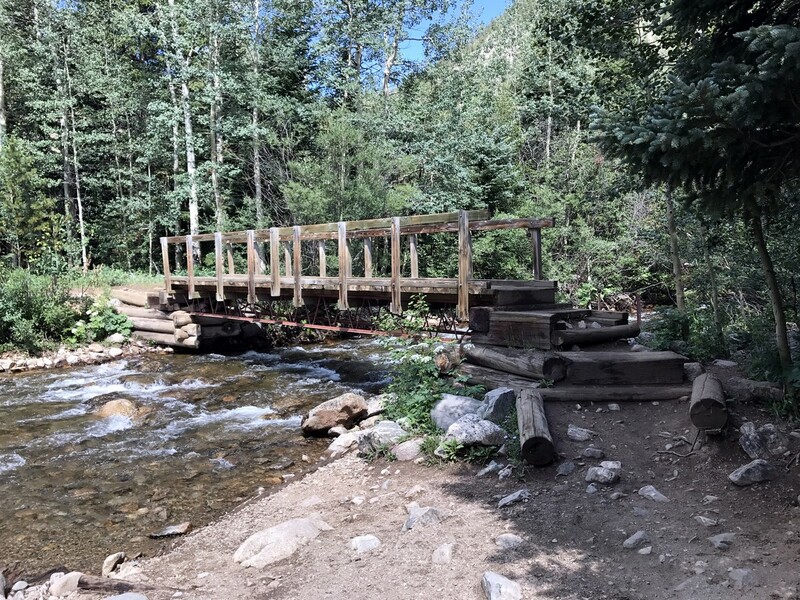 There are lots of great outdoor activities inside the Indian Peaks Wilderness. Like we said, this is a backcountry wonderland and while the infrastructure doesn’t always exist, or the choice of guides might be limited, this park really lets you get into nature. 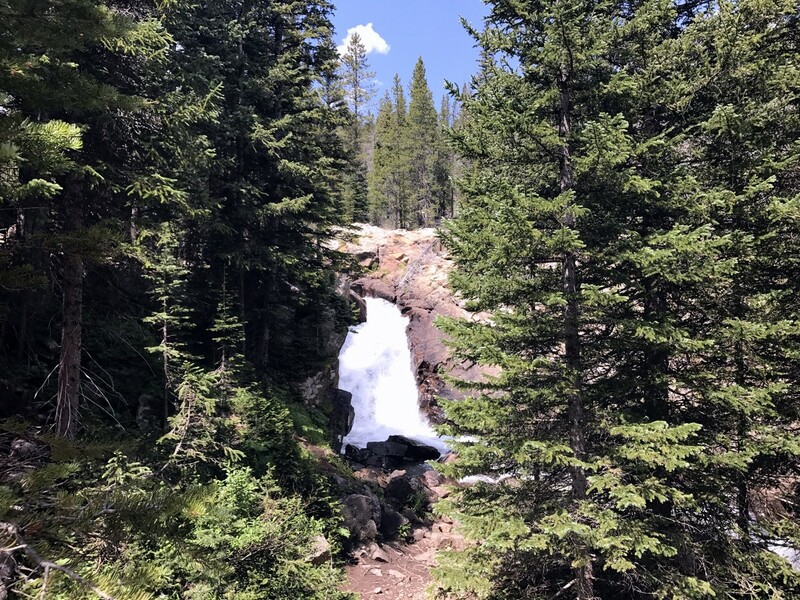 Now, we don’t have to discus the great hiking because you can easily check out our hikes in the Indian Peaks Wilderness. You might want to try Mountain Biking though. The trails are fantastic here. We loved riding the Rhythm & Blues trail near the town of Ward. We also have quite a few hikes in that area. Make sure to double-check you can mountain bike on the trail your considering because some sections of the park are off-limits to mountain bikes. What if you’re visiting in the winter? Then go out skiing! Eldora Mountain is a pretty good ski hill, and convenient if you’re in Boulder in winter. They have four pretty good parks too that can let you pull some good tricks. For gear rentals, for either biking or skiing, head over to Tin Shed Sports. If you’re in need of some outdoor clothes, or camping gear check out Mountain Man Gear in Nederland. The staff members are all fun and knowledgeable, and they have loads of inventory for a small local shop. For a rainy day with the kids we have two options. First, check out the Nederland Mining Museum. It’s has interactive exhibits and historical artifacts. They even have a stamp mill that will crush ore before your eyes! The second rainy day activity is quite magical. The Carousel of Happiness in Nederland is a true work of art. Each horse and creature is hand-carved. For only $1 a ride, you’re likely going to ride this Carousel multiple times. Stay hydrated! 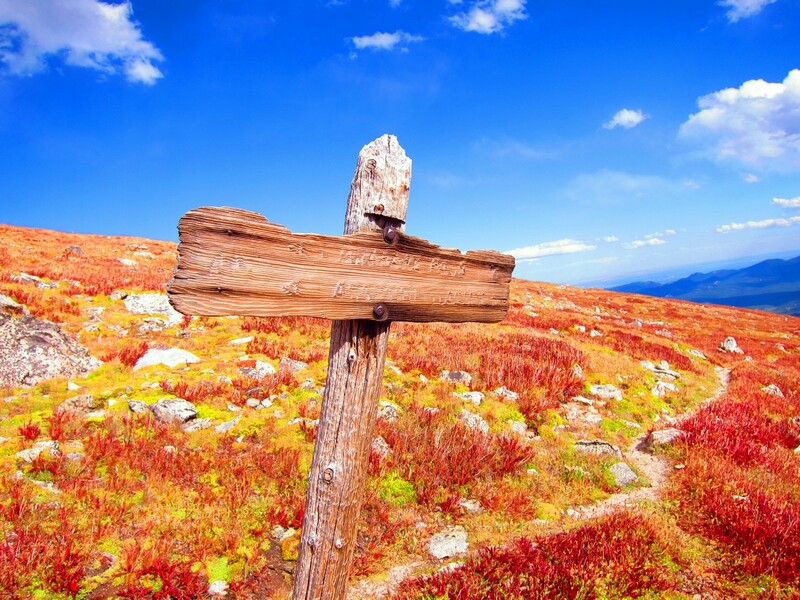 The elevation in The Indian Peaks Wilderness can cause people some light altitude sickness. Stay hydrated in order to help your body acclimatize to the difference. The Indian Peaks makes for a great backpacking trip with friends. If you have the gear, we strongly recommend backpacking here. Originally six mountains were named after Native American tribes: Apache Peak, Arikaree Peak, Kiowa Peak, Navajo Peak, Ogalalla Peak and Pawnee Peak. These names were given to them back in 1914. Since then they added the Paiute Peak, Watanga Mountain, and Shoshoni Peak. The Hiamovi and Satanta peaks are in the Indian Peaks Wilderness to, but they are not the names of tribes but instead they are named after Native American chiefs.